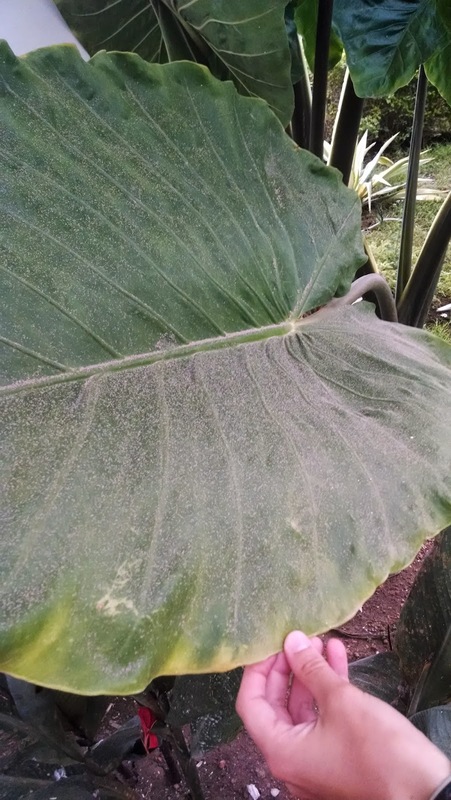 Sorry for the long delay for this post, I've been having quite a hard time writing this one. 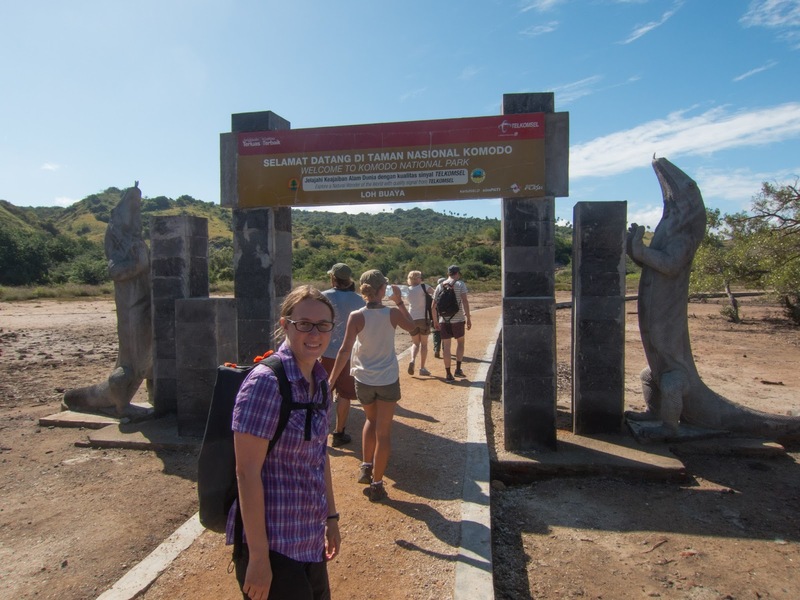 Our visit to Komodo was very up and down, with some really amazing things, and some really unpleasant things. So it's been a harder one to write up. We also don't have that many pictures from this time due to a camera mishap which you'll read about soon. But to see the ones we did take, click here. 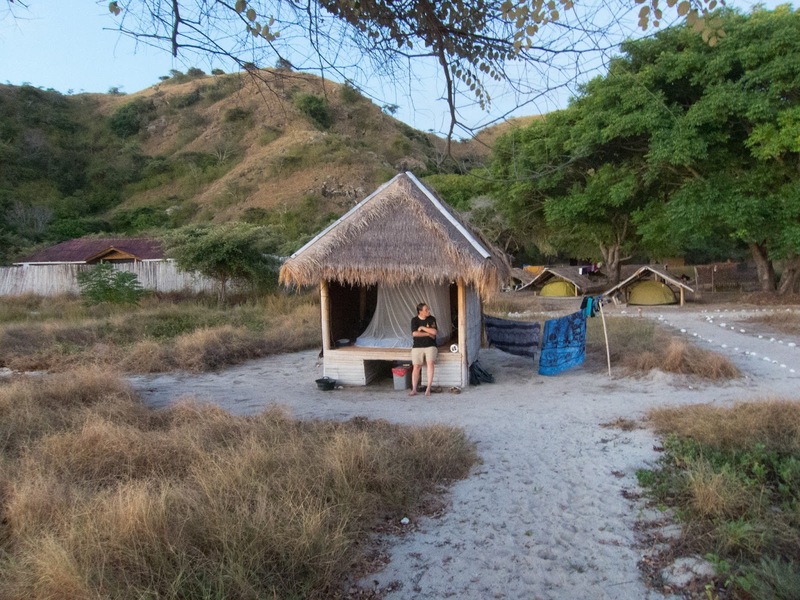 After leaving Bali, we flew to Labjuan Bajo which is a small Indonesian island to the east. 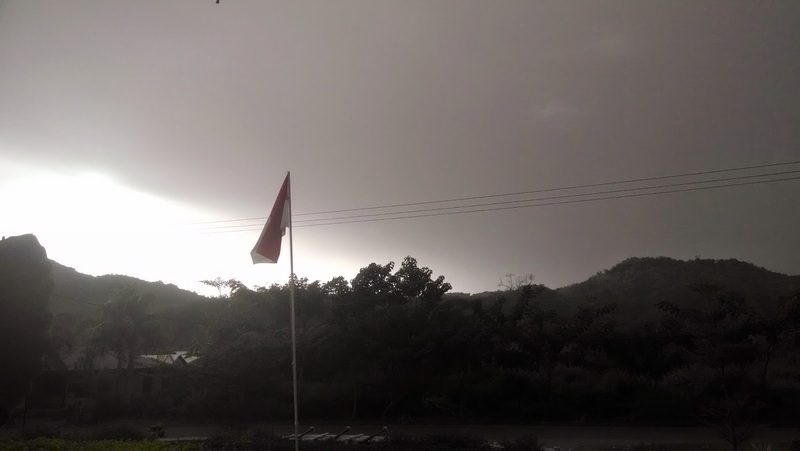 We stayed there for one very rainy night, before taking a 2 hour boat ride to Kanawa Island. We had great hopes for this island. 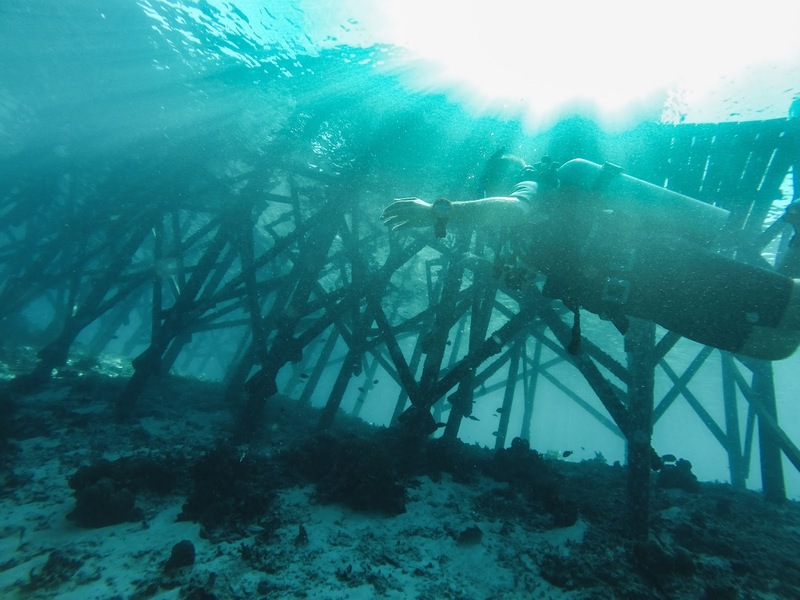 It was very small, comprised of accommodations, a small restaurant and a dive shop. It seemed perfect, and it was beautiful. We had a bit of trouble getting the dive shop to arrange for us to dive. Turns out they were closing in a few days, and so all the staff didn't have much incentive to provide service, and were more focused on doing some last dives themselves. That being said, we had one day diving out around the islands, which was pretty fun. The currents all around are very very strong, so I was quite nervous, but we followed all the safety briefing instructions and were fine. Another day when we couldn't get a boat dive arranged, we did a guided dive of the house reef, which allowed us to rent equipment and then later in the day do out first solo dive. It was pretty interesting and fun. We were both very focused on navigating and checking each other and doing all the things to keep us safe, that we didn't find any fish! But it was a really great learning experience and we were very happy to have done it. It helped us become more confident, and was great to have under our belts when we got to the Maldives. Another day we went on a boat trip to see the Komodo dragons, which was a big part of why we ventured to the area. We were on a boat with 8 others, and were heading to Rinca, which is the only island other than Komodo itself that has the dragons. It's supposed to be a more picturesque island. The set up is kind of funny, they have this big gate with statues near the dock, but then you walk a long ways across a field before you get to the ranger station. We payed all the fees, and headed out on our guided trek. You go with two guides - one in front of the group and one behind, both with big sticks, in case any dragons come around. The first dragons we saw were a bit disappointing, they were lounging asleep under the kitchen hut. We'd read that this often happened because their sense of smell is so heightened, that even though the rangers don't feed them, they know where the food is. We then saw a baby male dragon - about 1.5 metres long, running along through the woods near us. It was cool to see how he moved, and such, but he was a bit small. After many pictures, we kept going. We saw some wild water buffalos, one wading in the water and one blocking the trail we were supposed to take - needless to say we took a detour. 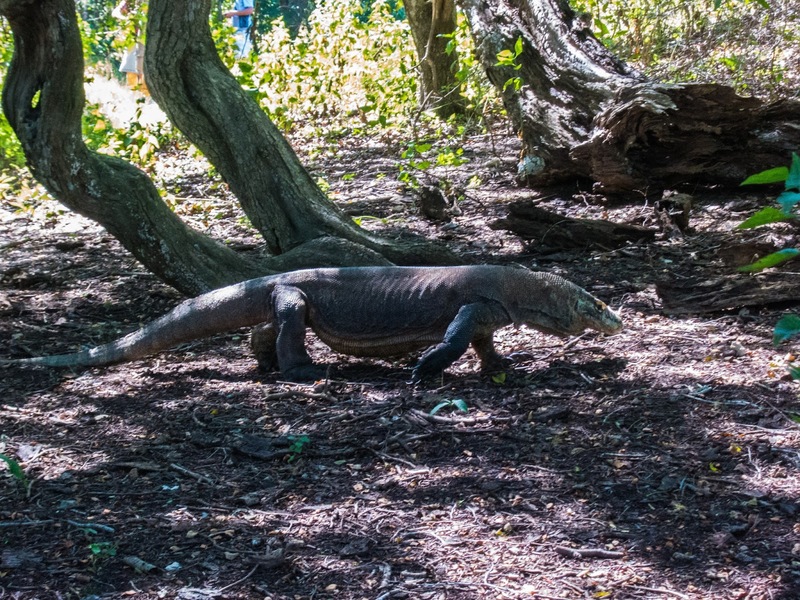 Which ended up being great, as a large female Komodo dragon ended up coming up the path towards us, before veering off and stopping in the woods just near us, so we could take some pictures, before carrying on. They're very impressive creatures, but you have to stay so far away because they're so dangerous, it's hard to get their full effect. After the trip, everyone was extremely hot, from the high temperatures and the long walk. So we asked the boat guide to take us to a snorkeling spot before lunch. We arrived, and all jumped in, Jerome did a small dive down to see a turtle, came up and gave me a panicked look. He reached into the pocket of his swimsuit, and pulled out our soaking wet camera.... Disaster! He went back to the boat, took out the card and battery and hung it all to dry, hoping for the best. We weren't very optimistic about the camera, but were crossing our fingers about the memory card. We rinsed everything in fresh water and put it in a ziploc bag with lots of silica packets and left it. We had computer access in the Maldives but it looked like all our files were corrupt, so we were very sad, but luckily when we got home, Jerome managed to salvage them all on his computer, so we can share all these neat pictures. Our accommodation on the island was a small hut with a mattress and a mosquito net, and sort of blinds you could raise up or down. Our view was of the beach which was really great. It was very warm in the day and at night, so we would raise them up to try and get a breeze. We were fine the first two nights, but on the third, just as we were getting into the bed, I saw something scurry across it... we moved the sheet, and it was a cockroach... Gross! We got it out, and tried to assure ourselves it was a one time thing, since we hadn't seen any the first two nights. 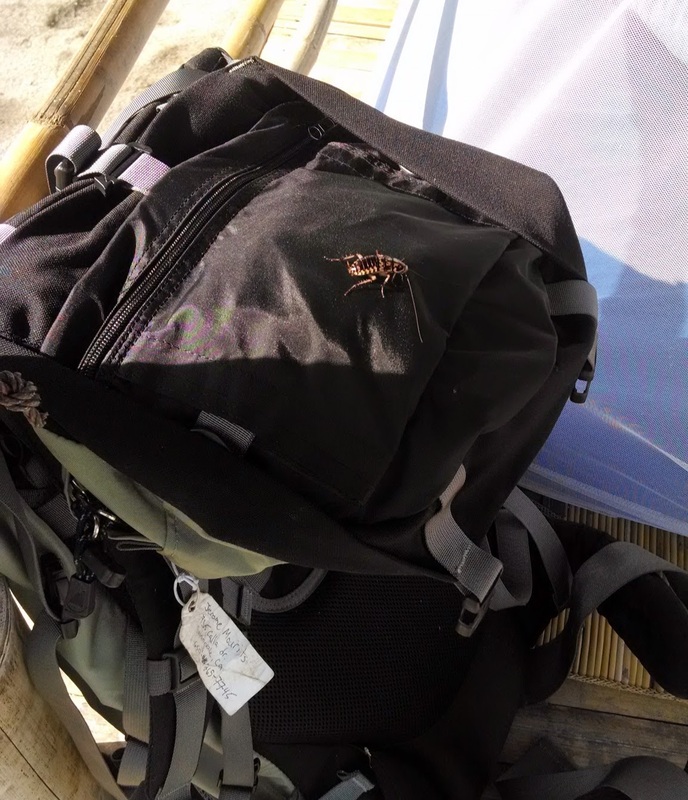 It took us about 1/2 an hour to get all settled and sleepy again, when something ran up my shoulder. Needless to say, I freaked out a bit, and sure enough, it was another one... So we sat with the light on again for another half hour on the lookout, but didn't see anything. So we tried going to sleep again, and again, something climbed up my other shoulder. Another cockroach! At this point, I'd had quite enough, and got out of our hut. We poked around and couldn't see any more, but I wasn't getting back in there. We took our flashlights and explored the island a bit - there were a few hammocks around that we were hoping we could use to sleep, but they were all already full of other sleepers who were too warm in their huts or cabins. We eventually found a massage bed under a hut, and wedged ourselves on it, for a few short hours of uneasy sleep. In the morning, we decided that with both the cockroaches and the inability to do the diving that we wanted, that we'd be better off leaving the island, as we couldn't see spending another 2 days there. We spoke to the reception, and they assured us, they'd spray the hut with pesticide and we wouldn't see any more. But we decided that enough was enough. We talked to some others who were also leaving, who had the exact same thing happen to them! Also on their third night. So our deduction is that they spray pesticide when they change the sheets, and it lasts for about 48 hours, so that on your third night, they come back. So we left Kanawa and took the boat back to Labjuan Bajo, I was a bit worried that we didn't have a place to stay lined up, but we had seen a cool dive shop called Blue Marlin Diving that had a cafe in it when we were in town earlier. So we headed there, got a nice cold drink, and used their internet to book a room, and then we arranged with them to dive the next day. They were super helpful! So we ate some dinner, and then headed to the hotel. It had a real bed, and no bugs in it, it was lovely! Next day we went diving with Blue Marlin, we saw some pretty cool things, beautiful islands, and had a great time. So we booked again for the next day. That night unbeknownst to us, a nearby volcano erupted. When we got up to eat breakfast at the hotel, we noticed they kept brushing dust of the plates, and had the food set up inside instead of outside and the sky was a really weird gray colour. We found out about the volcano and that we were basically underneath the ash cloud, which was slowly falling all around. Everyone in the streets had dust masks, it was quite surreal. We headed to the dive shop, and they said we'd go anyways to check it out and find some good spots. The first place we went was crazy! The falling ash was all suspended in the water, making the visibility quite poor. But the bottom of the ocean was also covered, so all the colourful coral of the day before had a thick layer of gray ash over it all. It was very apocalyptic looking! We saw a poor flat flounder fish trying to camouflage on the sea floor, but who was leaving a perfect trail through the ash, so you could see exactly where he was! The dive company called around, and found out that the island we'd dove at the day before was actually outside of the ash cloud, so we headed back there and had another good dive. Both us and another couple had flights booked the next day, and so we sat out the third dive and got to talking. It turns out that we'd both just booked the same last minute liveaboard to the Maldives the night before! What are the chances of that! We had a lot of fun talking with them and had a lot in common, so were very anxious to get to spend a week with Mimi and Chris in the future! They also write a cool blog about their trip which is super epic - a whole year long trip! Check it out if you have a chance, you might even find us in a few of their posts! Traditional Dance the hotel put on. While we were at dinner that night we heard about the airport having been closed all day, and that they didn't know if flights would go out the next day. The airport there is pretty tiny, and not very high tech, so we couldn't find a way to confirm. So next day we packed up and headed to the airport. All flights were still cancelled, and the person we spoke to said he'd call us when we got re-booked. No real timeline or anything. So, we went back to the hotel and got our room back, and spent the day catching up on blogs, our travel log, and reading. The next day we went back to the airport again, and they said we'd maybe go tomorrow, but not to worry, they'd call us. This was getting a bit old, as we had to keep packing up etc. and we couldn't dive as you can't dive within 24 hours of flying, but we didn't know when we'd end up flying! This time they said they'd pay for our hotel room, since they just couldn't get any extra flights in. We didn't want to have another wasted day, so we went back to Wicked Diving and decided to get certified for Nitrox which is a different blend of gas, that allows you to stay down longer and more safely as long as you follow certain guidelines. 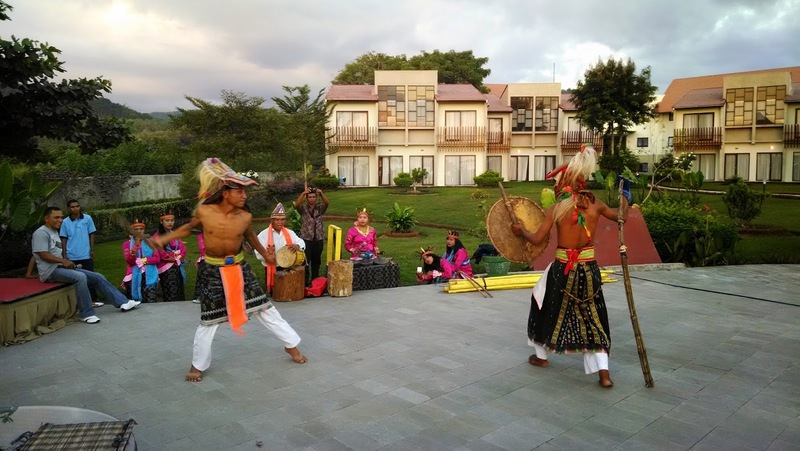 We also got to see a traditional dance at the hotel, which was really interesting. 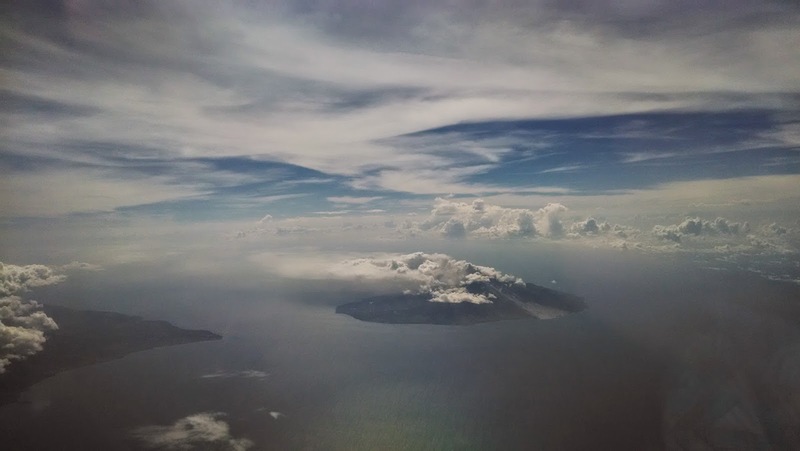 The volcano from our flight! That night we got a call saying that we were scheduled on a flight the next day. We asked about our connecting flight, and they told us they'd deal with it later. So after another dinner and night at the hotel we headed once again to the airport. Got all checked in, and tried to find out again about our connecting flight. They assured us that they'd sort it out at the next airport, as the system was down here. We flew out, and almost right over the volcano that had erupted, a bit freaky, but all went well. After waiting in many lines and talking to many people we finally managed to get on a connecting flight to Yogyakarta. We were supposed to have had 4 days there, but we were only going to have 1 now. We spent the flight figuring out how to see what we wanted in such a short time. 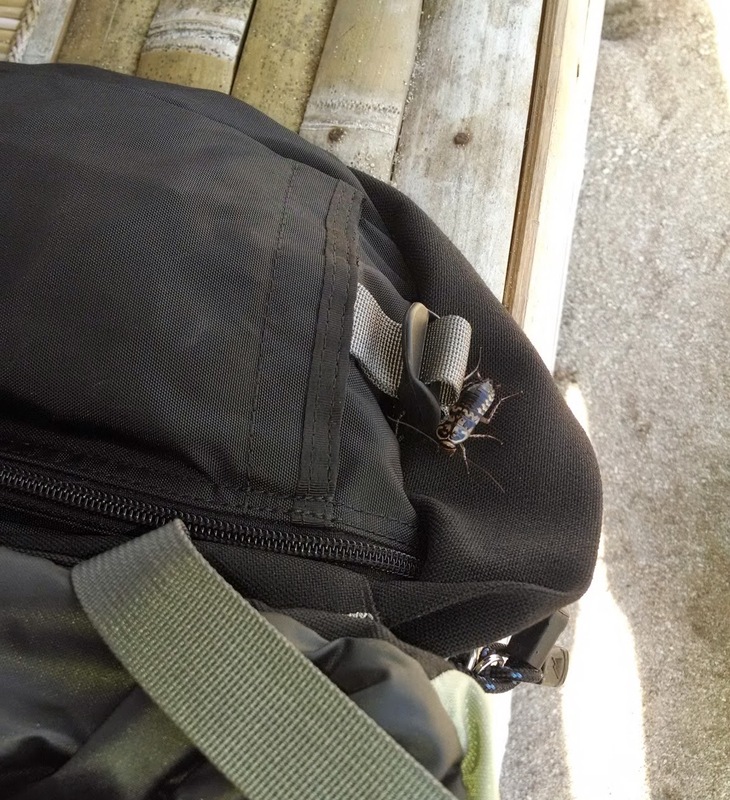 Overall, the Komodo island experience was very up and down, we saw some really cool stuff, and met some great people, but then there was the cockroaches, the drowned camera and the long volcano delay. All in all it was definitely a memorable experience! 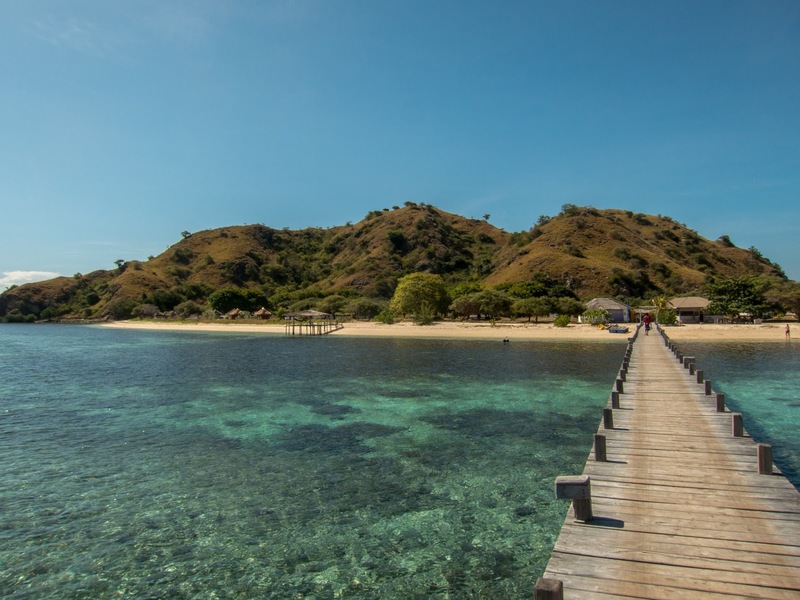 Click here to see our complete album from Komodo. Can't believe you're going to finish posting...that's impressive :) Less impressive? Roaches. So so less impressive. 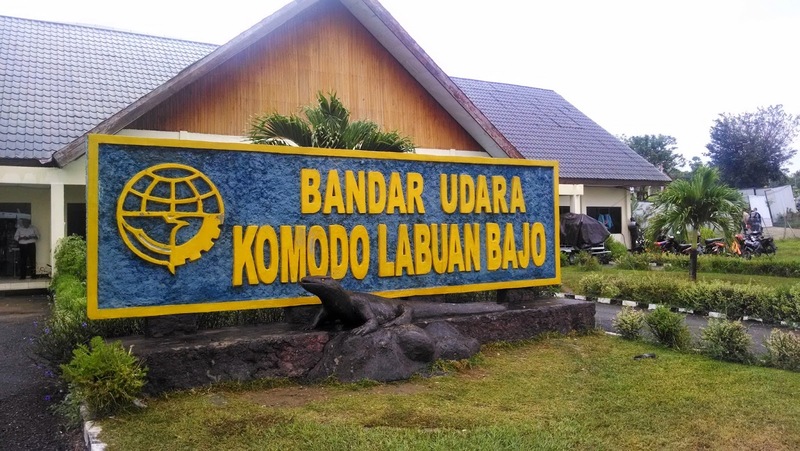 ugggghhhhhhhh....now I can never go to Komodo! There's only a few last places we didn't manage to do while on the trip, so I wanted to get them finished up sooner than later. This one has been tripping me up for a month though because I wasn't really anxious to relive the cockroach story!